response from property - Apr 14, 2019 Thank you! We're happy to hear you like calling The Element home!  response from property - Mar 29, 2019 Thank you for your review Olasunkami. Please let us know if there is anything we can do to give you a five star experience. Buen trabajosubmitted by Juan Z. - Feb 28, 2019 |Recommended: YesLos departamentos son limpios y agradables, en el verano realizan eventos y actividades para los vecinos. response from property - Mar 04, 2019 Hello! Thank you for the 5 star review! response from property - Feb 28, 2019 Thank you for the kind words Ruslan. We are glad you love The Element. We strive for five stars so if there is anything we can do to five you a five star experience please let us know. response from property - Feb 26, 2019 Thank you for the five star review Salvador.  We are happy you enjoy living at the Element and if there's anything you need please let us know. response from property - Feb 08, 2019 Thank you for taking the time to leave a review. Please let us know what we can do to give you a five star experience as our goal is to make sure all of our residents are satisfied. Element Apartmentssubmitted by Audriana L. - Feb 05, 2019 |Recommended: YesIt's a great place to live. response from property - Feb 05, 2019 Hi Audriana! We're so happy to hear that you're enjoying your home! Please don't hesitate contacting us if you need anything! Great Place to Livesubmitted by Melinda A. - Feb 04, 2019 |Recommended: YesDale in the office is the best she was patient with me every step of the way when looking at apartments. She sold me on my apartment and the amenities the Element has to offer. I'm enjoying the apartment and the beautiful view from my balcony Maintenance does a great job as well any issues that have arouse so far are handled in a timely manner. The team in the office are always so welcoming to me and helpful which makes calling in or going into the office a pleasant experience . response from property - Feb 04, 2019 Thank you Melinda for sharing your experience leasing at The Element. We are glad you are enjoying your stay. If there is anything we can do to make it a five star experience please let us know, as we strive for complete satisfaction. Good comfortable placesubmitted by Rovi A. - Jan 15, 2019 |Recommended: YesIt’s a great place to live, a good bulding, a decent place. Neat with good space. It has amenities like the gym. The only down side is the washer and dryer machines are limited and old. response from property - Jan 17, 2019 Thank you for the 5 star review, we are so glad to have you as a resident and are happy to hear you're enjoying living at The Element. Well kept and they are continuing to make improvements.submitted by Lisa C. - Jan 06, 2019 |Recommended: YesThe building I am in is generally pretty quiet, and there is usually plenty of parking. I can sometimes hear neighbors, but that is going to happen almost anywhere. The grounds are kept clean and snow removal and salting are usually pretty good. All of the staff that I have spoken with in the office are very professional, friendly and helpful. Very convenient location for anything one might need in the area. response from property - Jan 14, 2019 Thank you for your review Lisa, we are glad you're enjoying your stay at the Element. If there is anything we can do to make it a five star experience let us know as we do strive for five star service. Horriblesubmitted by Athalia P. - Jan 02, 2019 |Recommended: NoNew owners new staff really bad office service and urgency to react to maintenance. Also, the buildings are old and you can hear every little thing that happens around you. response from property - Jan 02, 2019 Athalia, I'm sorry to hear about your experience at the Element. Please contact us so we can take care any outstanding issues you may have. Our goal is to make sure our residents are satisfied. Designed for comfort.submitted by Millicent S. - Dec 26, 2018 |Recommended: YesIt is a peaceful place to be. Management is responsive and communication savvy. No need to call or worry about getting to the office before closing time or mailing checks - everything can be done online. Location is great - many social amenities around the area. response from property - Dec 27, 2018 Thank you for your review Millicent, we are glad you're enjoying your stay at the Element. If there is anything we can do to make it a five star experience let us know as we do strive for five star service. response from property - Dec 14, 2018 Thank you for the 5 star review Astrid, we are so glad to have you as a resident and are happy to hear you're enjoying living at The Element. response from property - Dec 04, 2018 Thank you so much for your 5 star review Yesenia! It's truly appreciated and we're thrilled to see you're enjoying your home at The Element. response from property - Dec 04, 2018 Thank you for bringing these concerns to our attention. Our entire team strives to provide great service and we apologize if you feel this has not been your experience. Please feel free to contact us to discuss your specific matter further as we strive to gave satisfied residents.